Deploy and manage a fully supported Kubernetes environment on Amazon Web Services (AWS) with Heptio Kubernetes Subscription (HKS). HKS offers you validated deployment designs, operations runbooks, open source tools, and 24x7 break-fix support. In addition to HKS, Heptio delivers customized training and consulting to accelerate your adoption of Kubernetes. This solution is supported by an AWS Quick Start and an optional consulting offer crafted by Heptio, an APN Technology Partner with validated Kubernetes and AWS capabilities. Flexibility – With Heptio, you can avoid vendor and distributor lock-in and choose the architecture, tools, and expertise tailored to your unique business needs. ­Accelerated innovation – By implementing a cloud-native solution that streamlines the deployment and management of Kubernetes clusters, you can increase your team’s development velocity. ­A map to Kubernetes future – Access the Kubernetes insights of two Kubernetes founders that actively contribute to the K8s community. Validated designs – Heptio uses industry-standard best practices that enable your IT team to implement a strong baseline Kubernetes solution. 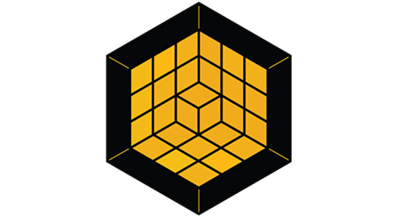 ­24x7 support – Get round-the-clock proactive and break-fix support for your Kubernetes deployments. ­Operational toolkit – Leverage a host of tools to help you lower the cost and potential complexity of deploying, managing, and maintaining Kubernetes. APN Partners deliver Kubernetes implementations, integrate relevant AWS services with these solutions, and help new users ramp up quickly. This solution was developed in collaboration with Heptio, an APN Technology Partner. Discover value from this solution by gaining access to AWS credits to support a Proof-of-Concept (PoC) and a consulting offer from Heptio hat includes AWS co-investments. Click below for more information. You can build your Kubernetes cluster in about 10 minutes using an AWS Quick Start reference deployment built by AWS and Heptio. Discover value from this solution by gaining access to AWS credits to support a Proof-of-Concept (POC) and a consulting offer from Heptio that includes AWS co-investments. 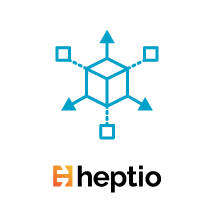 Heptio, an APN Technology Partner with validated Kubernetes and AWS capabilities, has crafted a consulting offer for this solution. Adopt Kubernetes on Amazon Web Services (AWS) with Heptio Kubernetes Subscription (HKS). HKS includes products, training, professional services, and support to simplify your implementation of Amazon Elastic Kubernetes Service (Amazon EKS). Pricing for Heptio Kubernetes Subscription (HKS) is tiered in order to fit the size and scope of your organization. You can learn more about purchasing HKS by emailing inquiries@heptio.com. Kubernetes is available free of charge through the open-source Apache 2.0 license. The pricing for the HKS starter package is $2,000/month for Business Day support and $3,000/month for Business Critical, for one supported configuration up to 25 nodes.